Home > Electrical Services > How Does My Electricity Move Through My Home? How Does My Electricity Move Through My Home? Two weeks ago, we started telling the story of LA’s electricity. First, we covered who makes your electricity and where it comes from. Then, we figured out how all that electricity actually gets from where it’s generated all the way to you. Now, we’ve reached the final chapter in the ongoing story of your home’s electricity: you. 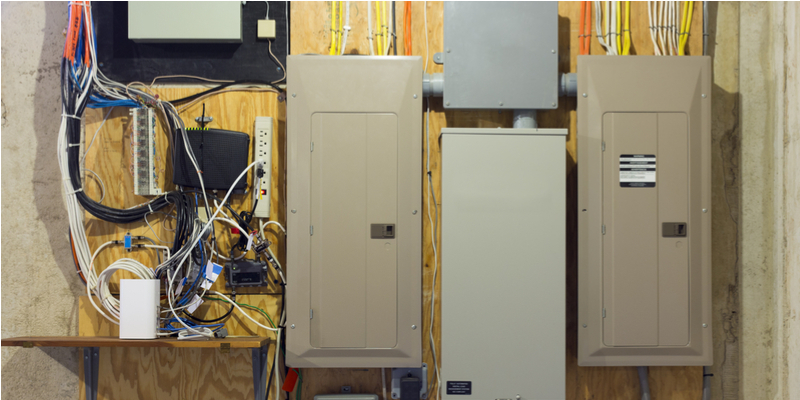 Your home’s service wires connect to a nearby distribution transformer, which is located either above or below ground. Most homes have three service wires; two “hot” wires containing power, and one neutral wire, for safety. The electricity moves through these wires all the way from the transformer to your home’s power meter. The power meter is usually located outside your home, on a perimeter wall. It looks like a square metal box with a circular display measuring your power usage on it. This meter measures how much electricity is running into and out of your home. It’s how your power company knows how much to charge you. The energy company also monitors your power meter so they can switch off your power in emergencies. After it passes through your power meter, power continues to travel through three service wires into your service panel. Your service panel contains your main breaker, along with several smaller circuit breakers. All of the power that enters your home has to travel through your main breaker first. If too much voltage enters your home, your main breaker flips closed, stopping that voltage from traveling further. After passing through the main breaker, your power passes into the service panel’s main compartment. Specifically, it runs from the service wires and into two “hot” busbars. Busbars are long, large metallic strips or bars that conduct electricity. The service wires “charge up” these busbars with all the voltage they’re carrying. Every one of the circuit breakers in your service panel latches onto one or both of these busbars directly. Up until now, all the electrical voltage in your home moved in one current. At this point, it splits off into many different places so it can move throughout your home. Each of the circuit breakers (also called fuses) in your service panel is the start of a branch circuit. Electricity travels into the circuit breakers from the busbars. If too much voltage enters a circuit breaker, the breaker trips and “breaks” the electrical connection. This prevents too much voltage from entering the branch circuit, where it could harm you or your fixtures. 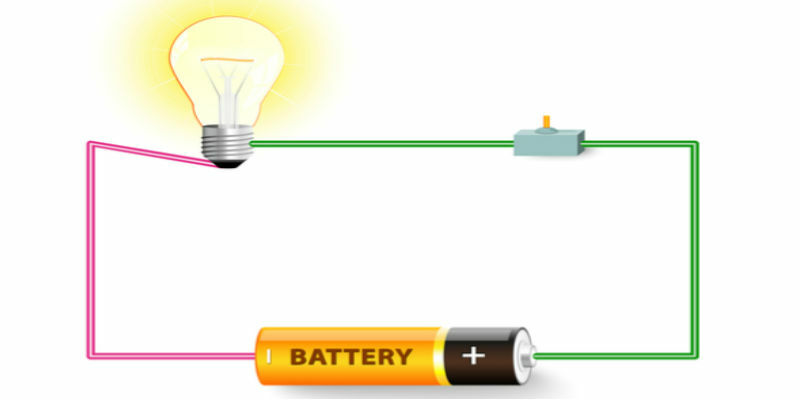 Branch circuits are how your electricity actually travels throughout your home. 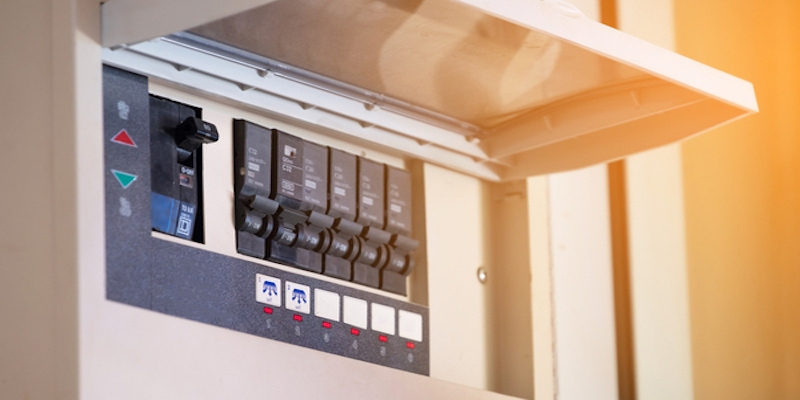 Each of the circuit breakers in your service panel connects to a branch circuit’s black “hot wire.” Hot wires are called “hot” because they contain electricity meant to travel through them to supply fixtures. There are as many hot wires in your home as there are circuit breakers in your service panel. Multiple hot wires run all across your home, connecting with every electricity-using fixture and outlet. They form the first half of the branching circuit that continuously distributes electricity throughout your home. Hot wires run from the circuit breakers all the way to the electricity-consuming fixtures and outlets in your home. In fact, a single circuits’ hot wire usually supplies power to multiple fixtures. The hot wire connects to the fixture, supplies its power, then exits the fixture and continues. That’s why most circuit breakers control whole rooms of electrical fixtures, rather than just a single fixture. 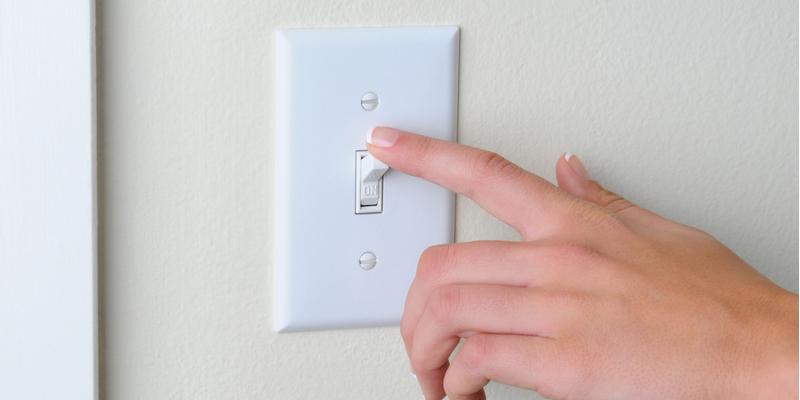 When you flip on a light switch, you’re actually connecting the light’s power receiver to the hot wire. This completes a connection, allowing power to flow from the wire through the connector and into the light. When you turn the light off again, you disconnect from the hot wire and break the connection. Without the power from the hot wire, the light turns off. Outlets are the same principle. When you plug in a fixture’s power cord, you’re connecting that fixture to the hot wire’s power. Unplugging the power cord breaks the connection and shuts down the fixture. Circuits are, naturally, circular. As you may have noticed, we’ve only described half of your branch circuit so far. You know hot wires transport electricity throughout your home, but why are they considered half of a branch circuit? Neutral wires are why. Your home’s neutral wires are the other half of the branch circuits. After the hot wire passes by every one of the fixtures it supplies with power, it connects with the neutral wire. You can tell neutral wires apart from hot wires because neutral wires are white instead of black. Unlike hot wires, they aren’t directly supplied with electricity from the service panel. Instead, they only carry whatever electricity’s left over in the hot wire. Like hot wires, neutral wires also run throughout your home. After connecting with hot wires, neutral wires run all the way back to the service panel. By reaching back to the service panel, your electricity has now completed the branch circuit. After reaching the service panel again, neutral wires connect with a third, separate busbar. This busbar is called the neutral busbar. Like the neutral wires themselves, the neutral busbar carries no electrical voltage of its own. Instead, it simply holds the electricity left over after hot wires finish supplying the power. Neutral busbars intermediately connect with the original two hot busbars to re-distribute excess electricity back into the power supply. They also connect with a ground, in case there’s too much live voltage running through neutral wires. The ground wire redistributes excess live voltage harmlessly into the ground. There you have it! Your home’s electricity system recycles electricity through your home’s circuits, supplying all your fixtures with the power they need. If anything ever goes wrong, your breakers and grounds step in to make sure it doesn’t hurt you. Hopefully, now that you understand your electricity’s epic journey, you understand how your home works a little better. Of course, all of this is only true when everything’s working exactly as it should be. Unfortunately, that’s not always the case. If you have an electrical problem, give Mike Diamond a call any time. We’re always happy to help keep your electricity safe.